Karl Hjalmar Branting (help·info) (23 November 1860 – 24 February 1925) was a Swedish politician. He was the leader of the Swedish Social Democratic Party (1907–1925), and Prime Minister during three separate periods (1920, 1921–1923, and 1924–1925). When Branting came to power in 1920, he was the first Social Democratic Prime Minister of Sweden. When he took office for a second term after the general election of 1921, he became the first socialist politician in Europe to do so following elections with universal suffrage. In 1921, Sweden's Prime Minister Hjalmar Branting shared the Nobel Peace Prize with the Norwegian secretary-general of the Inter-Parliamentary Union Christian Lous Lange. He was born to the professor Lars Gabriel Branting and the noblewoman and pianist Emma af Georgii. Branting was educated in Stockholm and at Uppsala University. He developed a scientific background in mathematical astronomy and was an assistant at the Stockholm Observatory, but gave up his devotion to scientific work to become a journalist in 1884 and began editing the newspapers Tiden and Social-Demokraten. His decision to publish an article by the more radical socialist Axel Danielsson - a piece denounced by opponents as insulting to religious sensitivities - resulted in political convictions for blasphemy and imprisonment for both men. Branting was imprisoned for three months in 1888. Together with August Palm, Branting was in 1889 one of the main organizers of the Swedish Social Democratic Party. He was its first Member of Parliament from 1896, and for six years the only one. In the early years of the 20th century, Branting led the Social Democrats in opposing a war to keep Norway united with Sweden. When the crisis came in 1905, he coined the slogan "Hands off Norway, King!" The Social Democrats organized resistance to a call-up of reserves and a general strike against a war, and are credited with a substantial share in preventing one. Hjalmar Branting accepted Eduard Bernstein's revision of Marxism and became a reformist socialist, advocating a peaceful transition from capitalism towards socialism. He believed that if workers were given the vote, this could be achieved by parliamentary ways. Branting supported the February Revolution in Russia in 1917. He was pro-Menshevik and defended the government of Alexander Kerensky, whom he even personally visited in Petrograd. When the October Revolution broke out the same year, Branting condemned the Bolshevik seizure of power. 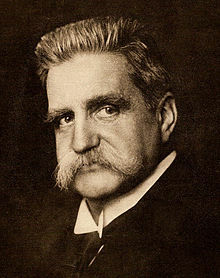 1917 saw a split in the Swedish Social Democratic Party on this question, and the youth league and the revolutionary sections of the party broke away and formed the Social Democratic Left Party of Sweden, headed by Zeth Höglund. This group soon became the Swedish Communist Party. Zeth Höglund later returned to the Social Democratic Party, and wrote a two-volume biography about Hjalmar Branting. As Prime Minister he brought Sweden into the League of Nations and was personally active as a delegate within it. When the question of whether Åland should be handed over to Sweden after the independence of Finland from Russia was brought up, he let the League of Nation decide upon the issue. He was awarded the Nobel Peace Prize in 1921 for his work in the League of Nations, sharing the prize with the Norwegian Christian Lous Lange. Branting is commemorated by the Branting Monument in Stockholm. Additionally in Gothenburg, there is a tram and bus interchange named after Branting, in Swedish it is Hjalmar Brantingsplatsen. Stockholms Plads (Stockholm Square) in Copenhagen was renamed Hjalmar Brantings Plads in 1925. ^ Robertson, J. M. (2003). History of Freethought in the Nineteenth Century, Part 2. Kessinger Publishing. p. 487. ISBN 0-7661-3955-7. Wikimedia Commons has media related to Hjalmar Branting. Nobel Committee information on 1921 Laureates.